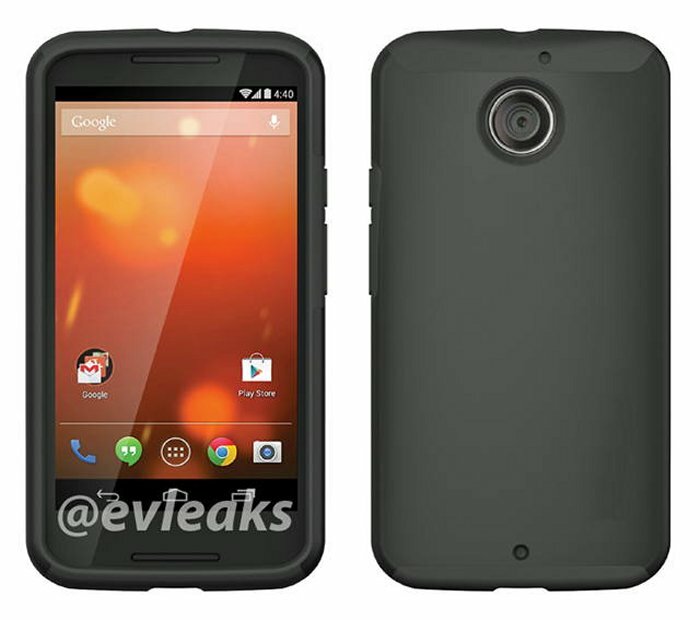 We have been hearing all sorts of rumors about the Moto X+1, but nothing concrete. The handset is apparently the successor to the Moto X and there have even been some alleged leaked videos showing off the phone. And now, thanks to the ever reliable and hard working serial leaker @evleaks, we now also have a press rendering of the Moto X+1, as you can see here. This press rendering supposedly shows off the Moto X+1 within a protective shell, so the actual design of the phone is still elusive and remains mostly a mystery. Also we can’t say for sure what the screen size is from the photo, although rumor says that the Moto X+1 will feature a 1080p Full HD display, which would be a nice upgrade from the Moto X’s 720p HD display. Too bad it didn’t break cover without a protective case, but we work with what we have. The new Moto X+1 is also said to come with 2GB of RAM and a choice of 16GB, 32GB or 64GB of built in storage, plus a microSD card slot for extra storage. As yet there are no details on what processor the handset will come with. Other rumors say that the Moto X+1 will feature the same customization options as the Moto X, but with a new addition. That would be leather. Right now Moto X users can only choose from various colors and wooden backplate options. The Moto X+1 would offer a leather finish.